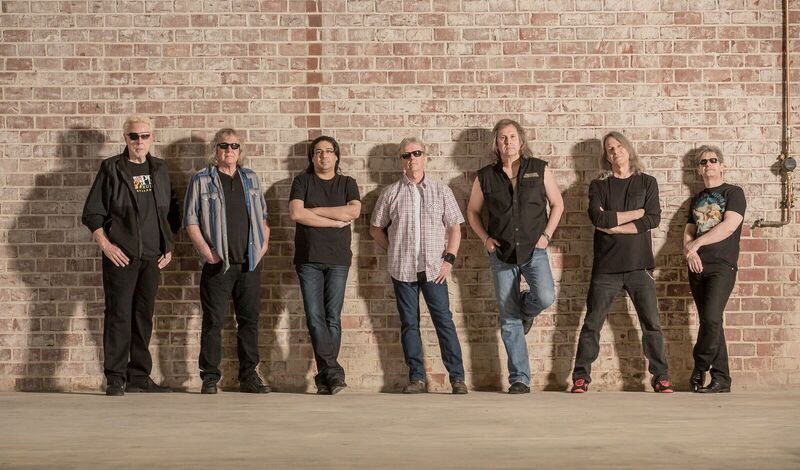 ReviewStl’s Jeremy Housewright recently had a chance to speak with Richard Williams, guitarist of Kansas. Being in the band for 4 decades, what keeps you excited to continue playing music? It’s kind of what a musician does. It’s all I ever wanted to do. When I was in high school, I wanted to play a guitar and be in a band with friends. I was talking to Don Henley recently and asked him why he was still doing this. He said he liked being around the guys. We kind of speak our own language. It doesn’t matter your policial affiliations or your religion, there is a language among musicians. The sense of humor and road stories. We have a common experience. There is a kinship among us. I’m just following my nature. This is what I am so I keep doing it. Up to now, we’ve just been doing a Best of Kansas Tour. We’ve been rehearsing for Point of Know Return Anniversary Tour. We will be doing that all through 2020 and into 2021. So, how are things going? They are real busy and they have been going great! I know that life on the road can be a grind. How do you keep yourself from getting burnt out? A long time ago Phil and I decided if we are going to continue to do this it has to be fun and there has to be some profit in it. You take either one of those components away and you start to wonder why am I doing this? We eliminated busses, we don’t bus anywhere. We’re aiming for the 80 to 90 show mark at most. We are home Monday, Tuesday, Wednesday and Thursday, play a couple shows on the weekend and go home. That’s easy. How thrilling is it to be with a bunch of sweaty and stinky guys in a metal tube? Then, you have the personality differences. It’s this little microcosm of differences. We want to keep it fun. The better shows are on the weekend anyway. Keep it fun and friendly, stay in a nice hotel. This is the best job you can ever imagine. Thinking of St. Louis. Do you have any favorite places to go when you’re in town? We’ve played all over there. Going back to The Fox is very special. That’s one of the coolest venues in the country to play. I’m really looking back to getting back into that venue. I remember being stuck in a hotel and looking down on the stadium and there was a game going on. I’ve been there so many times. The last couple times we were there we went out to Mama’s. That was fun to go to. I love staying at the hotel at Union Station. St. Louis has a lot to offer. Throughout all the years you’ve been in the music industry, what changes have surprised you the most? There’s always technical advances in anything. Look at Blockbuster. If you had stock in it and sold it you were a king. They used to be everywhere. You would have never guessed that would have completely vanished. You have to evolve. The record business has really suffered. They are still trying to work off a 1970s model. We were built for this because we signed a horrible record deal. We signed away the rights to our music, that’s a third of the pot right there. Songwriter’s get what they get. The other third of the pie is what the band gets. But, you pay back everything the company pays. We ran up millions of debt. We finally broke even. We never had a cash cow. It’s served us now because we learned to survive without the record businesses help. Kasnas will play The Fox Theatre on Saturday, October 20. The show starts at 8 p.m. Tickets are still available by going to fabulousfox.com or metrotix.com.